Driving licences are often legalised when applying for jobs overseas that require a driving licence or as proof of identity. 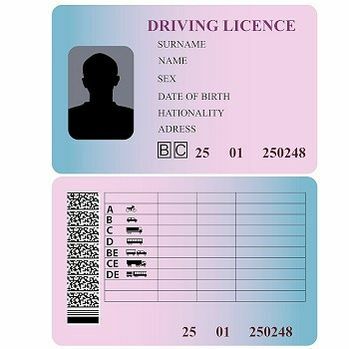 When providing evidence of identity, the driving licence is used as photo ID or address ID. For ONLY £66 we arrange for a copy of your Driving Licence to be solicitor certified and issued with the apostille. We can only legalise copies of driving licences. The apostille cannot be added to the original card version or the paper counter part (for older versions). The apostille is a paper certificate that is glued to another document and then embossed. It is not possible to attach it to a plastic card. Make a colour photocopy of the licence. Get the copy document signed and certified by our solicitor. How to order an apostille for your driving licence? Simply order the apostille service online and post the original licence to us using a secure delivery method. We can also verify driving licences from email copies. This will increase the fee so please contact us for advice if you would prefer not to post the original licence to us.